Bollywood actor Abhishek Bachchan's fans are waiting to see his comeback film Manmarizyaan as Abhishek has not seen in any film for a long time. Let me tell you that the shooting of the film has been completed and Abhishek also shared one still of film's wrap up party. 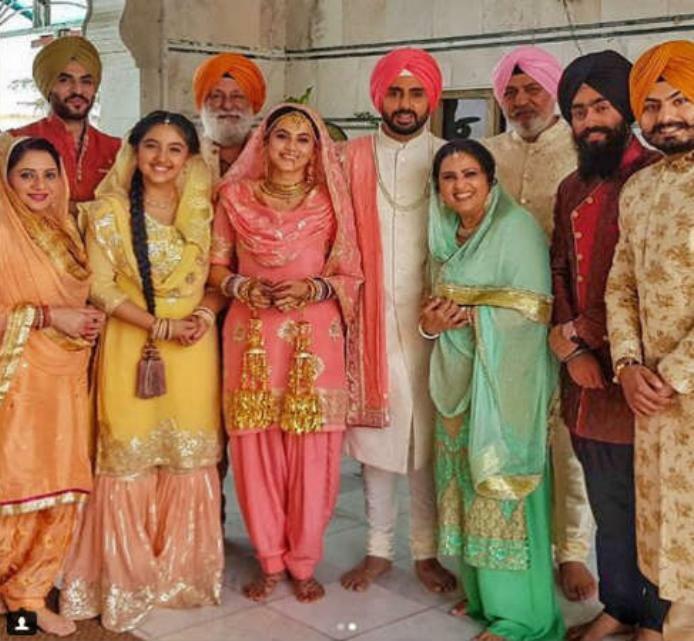 Recently one picture of the whole cast of the film got viral on social media, in this photo Abhishek can be seen with Taapsee Pannu in the marriage costumes. Abhishek can be seen as groom and Taapsee Pannu as a bride in this film. Actually, this is a new still of the film. Both Taapsee and Abhishek are looking very good in the still, currently, the team was shooting in Kashmir. 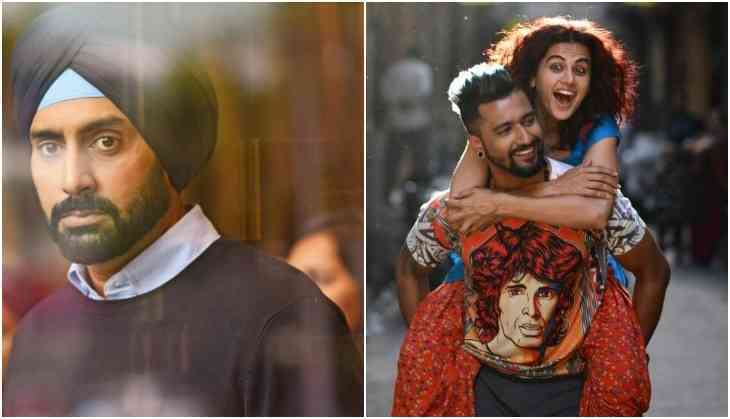 This film also stars Vicky Kaushal in leading role and he will also be seen playing the love interest of Taapsee Pannu. Earlier two pictures of the film were also released in which Taapse and Vicky were seen together whether Abhishek was seen in a shop. This is also Anurag Kashyap first time to make this kind of film as from long time he is making serious films only. The film can be released on 7th September 2018. Earlier the film was supposed to have Ayushmann Khurrana, Dulquer Salmaan and Taapsee Pannu in lead roles but later they got replaced with a current cast.